Top of the line performance, elegance, and innovation are what the Lincoln MKT luxury sedan is known for providing. With a spacious interior, modern conveniences, and intelligent all-wheel drive, you will be hard pressed to find a smoother ride. Get to your destination in style without sacrificing on comfort or modern conveniences. Call Hamilton’s Limo and Car Service today to make a reservation for one of our classy Lincoln MKTs in NJ or NYC. When you make a reservation with our NJ car company, you aren’t just reserving a luxury vehicle. You are making a reservation for first class service, complete with your own personal chauffeur – all at an affordable, flat rate price. At Hamilton’s Limo and Car Service our professional chauffeurs have a solid reputation for providing prompt, courteous service. From our flat rate pricing with no surprise fees or surcharges to our clean and comfortable luxury sedans, it is no wonder locals in New Jersey and New York City rely on our car company for professional car and limo services in NJ and NYC. Modern design and classic comfort make the Lincoln MKT a great luxury sedan for getting around New Jersey and New York City. 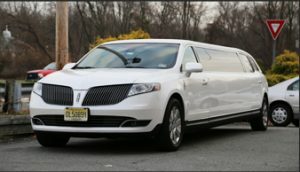 From the luxurious leather seats to convenient features like 2nd-row refrigerated consoles, heated seats, zoned temperature control, and a high-end audio system, you’ll quickly see why our clients love renting Lincoln MKTs in NJ and NYC whenever they hire our chauffeurs for their transportation needs. To learn more about the features inside our Lincoln MKTs in NJ and NYC, call Hamilton’s Limo and Car Service today. Our professionals will be happy to answer any questions you have about our luxury sedans or services. We will gladly accommodate your specific transportation needs, too. All you have to do is contact us to get started. 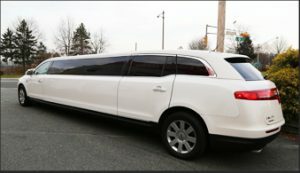 If you want to take a ride in a Lincoln MKT in NJ or NYC, call Hamilton’s Limo and Car Service at 862-520-7433 or complete our online request form.